Michael Jordan Marries Yvette Prieto in Palm Beach! 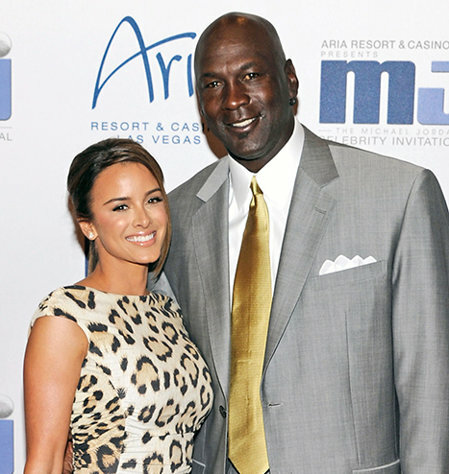 Michael Jordan is a married man -- again. The basketball legend wed Cuban-American model Yvette Prieto in Palm Beach, Fla., on Saturday, Apr. 27. The couple met in 2008 and got engaged three years later. In early March, Jordan, 50, and Prieto, 34, were photographed applying for a marriage certificate in a Palm Beach County courthouse. The newlyweds have been living together since 2009 in Kendall, Fla. This is the second marriage for the former Chicago Bulls player, as he was previously wed to Juanita Vanoy for 17 years. They divorced in 2006, and Vanoy received a reported $168 million settlement. The former spouses share three children: sons Jeffrey Michael, 24, and Marcus James, 22, and daughter Jasmine, 19. Prieto, meanwhile, was in a long-term relationship with singer Julio Iglesias, Jr. This article originally appeared on Usmagazine.com: Michael Jordan Marries Yvette Prieto in Palm Beach!